Flambeaux Bicycle Tours is currently in the midst of a crowdfunding campaign via Indiegogo. Please check out our profile, watch our video, and consider making a contribution. Flambeaux Bicycle Tours is currently crowdfunding on Indiegogo. Check out our profile, watch our video, and consider making a contribution to our campaign. Thanks! Flambeaux Bicycle Tours already has a fleet of single speed PUBLIC Bikes. We chose this model because of its step through frame. These bicycles are easy to mount and they put the cyclist in an upright position to take in all of the sights. When I conceived of Flambeaux Bicycle Tours I bought a fleet of 11 mint colored PUBLIC Bikes. They're currently sitting in my office. For every $2,000 that we raise, I am going to take a bicycle out of the box and put it together. Be a part of this exciting campaign to get them out of my house and into a storefront! A shot taken from our campaign video. Our promo video was shot by Harry Bartle of Ariel Projects. I've had the pleasure of working on set with Harry before. I played a small part in his short film Rouler, Sonner. It can be viewed by clicking here. Flambeaux Bicycle Tours will give 1% of all profits to Bike Easy. 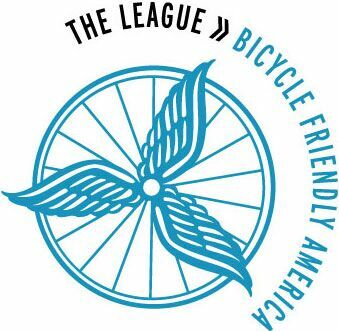 Bike Easy is our local bicycle advocacy organization. Along with donating this portion of our proceeds to Bike Easy we also seek to create programs for at risk youth. These programs will include an earn-a-bike program, teaching bicycle mechanic skills, and training New Orleans youth to become tour guides.